Computer Science and Engineering Professor Robin Murphy of Texas A&M University has taken a serious look at the robots of Star Wars fame and judges how realistic they are in a recent Science Robotics Focus piece—in it, she suggests some aspects of the robots are more realistic than others. 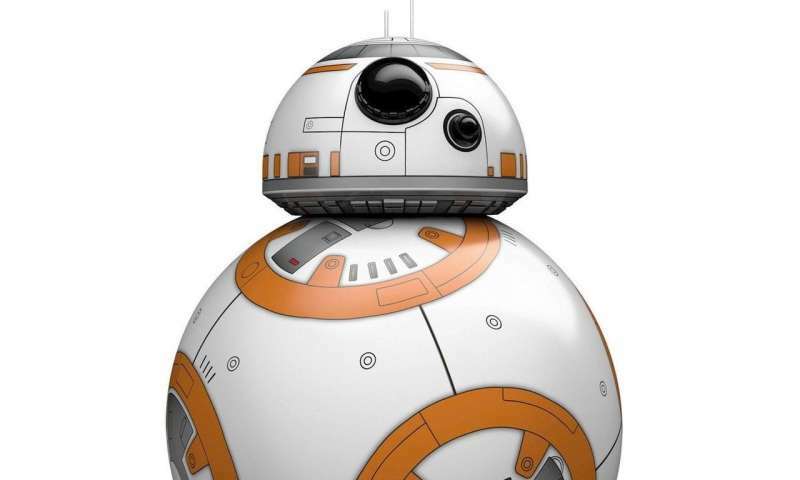 Murphy focuses on CP30, the gold, humanoid robot with a British accent, his partner, R2D2 and the cute robot BB-8. Notably, only one of the three is able to talk, and has appendages that resemble human arms and legs. She discusses the possibility of developing such robots and how well they might work. She also compares them to a real-life space robot—NASA's Robonaut, a humanoid robot with arms and end effectors, but no legs. To gauge how realistic the robots are, Murphy looks at the likelihood of the robots portrayed in the movies existing in our very real universe. Could they get around, for example, as they appear to do so with relative ease in the movies? Maybe not so much. She points out previous research noting that BB-8 would not be able to roll around on the sands of Jakku, or anywhere else that did not have a hard, flat surface, unless the little robot also had an anti-gravity unit inside. In a similar vein, it's doubtful that R2D2 would be of much use anywhere but aboard a spaceship without major bumps to trip him up. More optimistically, Murphy suggests that noises emitted by R2D2 and BB-8 are somewhat realistic because they allow the robots to convey emotions without the use of facial or other bodily movements. People of all ages are able to understand when either robot is stressed, puzzled or happy—it's all right there in the binary-type languages they apparently speak. Despite their real-world shortcomings, Murphy suggests that movie robots have been and likely will continue to be guides for real-world engineers in designing robots for use in the future. Movies convey qualities people might want in a robot, and the ways it might be useful. They also differentiate between astromech (utility) robots and those that are meant to serve as friends or comrades. While I will totally agree that Artoo would have a problem on the sand with those small wheels, BB8 depending on the internal structure and weighting arrangement should have no problems rolling around on the sand.